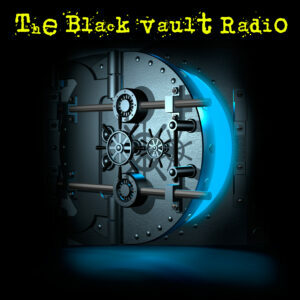 On Episode #13 of The Black Vault Radio, science writer and educator Chris Rutkowski into The Vault. Since the mid-1970s, Chris has been studying reports of UFOs and writing about his investigations and research. He has ten published books on UFOs and related issues, including Unnatural History (1993), Abductions and Aliens (1999), A World of UFOs (2008), I Saw It Too! 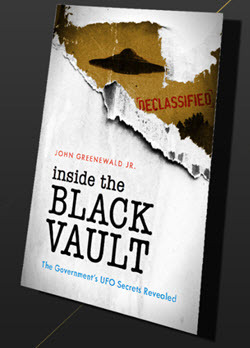 (2009) The Big Book of UFOs (2010) and most recent – WHEN THEY APPEARED published in 2017. He has appeared on numerous radio programs, podcasts and documentary television series, including Unsolved Mysteries, UFO Hunters, Sightings, Discovery’s Close Encounters and A&E’s The Unexplained. He is past president of the Winnipeg Science Fiction Society, Manitoba Writers’ Guild and the Winnipeg Centre of the Royal Astronomical Society of Canada. Also, past guest Christopher O’Brien comes back to the show to announce his high-tech project that collects data and searches the skies for the ever-elusive UFO phenomenon in the first ever TBV Updates segment. – Presidential ALERT issued by Trump: What is a Presidential alert? Can you turn it off?